Oliver Wood is a Gryffindor (1987-1994) and Quidditch team Captain and Keeper 1990-1994 (and possibly earlier). Oliver Wood was the “burly” Captain of the Gryffindor Quidditch team when Harry arrived at Hogwarts, and possibly the most passionate Quidditch fanatic in the school (PS7), Oliver is known for giving particularly lengthy, impassioned locker room speeches (PS11, CS7, PA8), and gets quite depressed after losses (PA9). Fred Weasley once pointed out, fairly, that Wood might have “bumped off” the entire Slytherin Quidditch team, except that he wouldn’t have gotten away with it (HBP19). After leaving Hogwarts, Oliver signed with the Puddlemere United Reserve Team, summer 1994 (GF7). Though he graduated two years before the inception of Dumbledore’s Army, Oliver did return to Hogwarts to fight in the final battle against Voldemort (DH30, DH34). Mr. and Mrs. Wood are introduced to Harry by their son Oliver at the 1994 Quidditch World Cup (GF7). 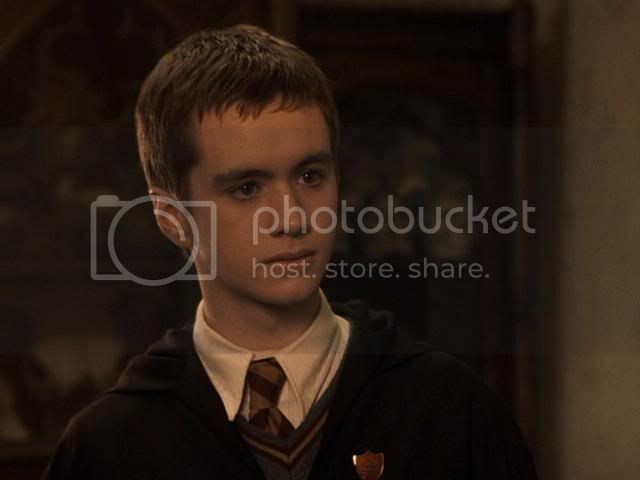 Oliver Wood is played by Sean Biggerstaff (IMDb).